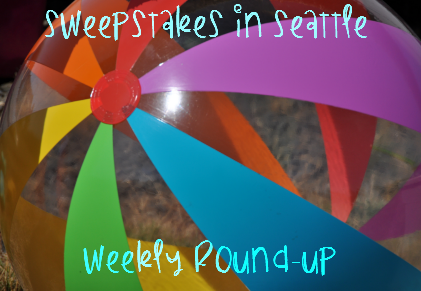 Sweepstakes in Seattle Weekly Round-Up 7/15 – Win a Disney cruise, an iPad, gift cards & more! Wow! It’s been HOT at my house! Are you enduring a heatwave where you live? I think it’s about time to set up our backyard pool to get some relief from the heat (and sit in the AC and enter sweepstakes)! I added a new feature to the posts this week – did you notice? I am now adding the information for how you can find out about the winners for each sweepstakes (as long as it is listed in the rules, I will share it in the post). I’ve had people ask me who won certain sweepstakes, but the truth is- unless I won or one of you lovely readers won and let me know, I have no idea who won. Let me know if you won a prize recently and I’ll share it on the next weekly round-up! Scott won movie tickets from the Skittles IWG and a $25 gift card from the PF Chang’s IWG! Colin won movie tickets from the Skittles IWG!